It was already obvious by Saturday when I last wrote about it that the votes were not going to be there for Republicans to pass Graham-Cassidy. It became official today. Mitch McConnell announced that the Republicans will not be holding a vote on the bill, disappointing Donald Trump. Republicans still might attempt to repeal the Affordable Care Act beyond the current September 30 deadline to do this under budget reconciliation. Vox explained in considerable detail how this might be done. However, this would make changing the tax law more complicated, making many Republicans reluctant to go this route. There are already aspects of Trump’s plan which could cause serious headaches for many Republicans. 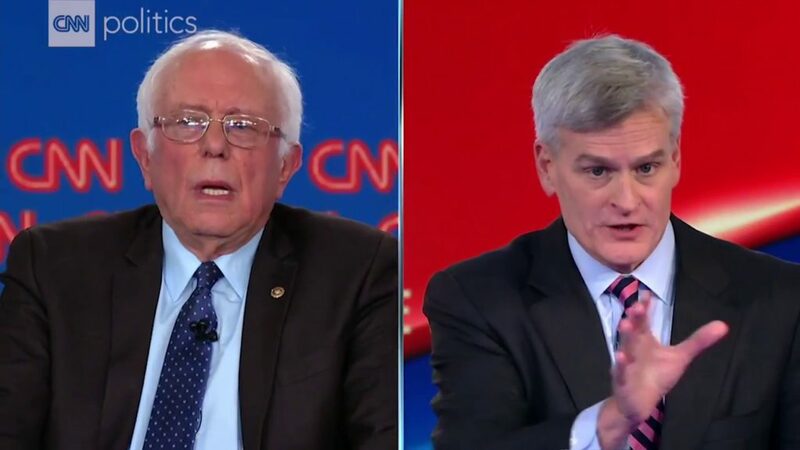 While we do not know what the Republicans might do next to try to strip people of their health care coverage, it is a safe bet that the insurance and pharmaceutical industries will not be supporting Bernie Sanders if he runs for president in 2020. Posted in Bernie Sanders, Congress, Donald Trump, Health Care, Republicans. Tags: Bernie Sanders, Donald Trump, Health Care Reform, Jimmy Kimmel, Mitch McConnell. RSS feed for comments on this post.. TrackBack URL.